Buying stock when it is cheap, we only do that with the blue chips or index stocks. 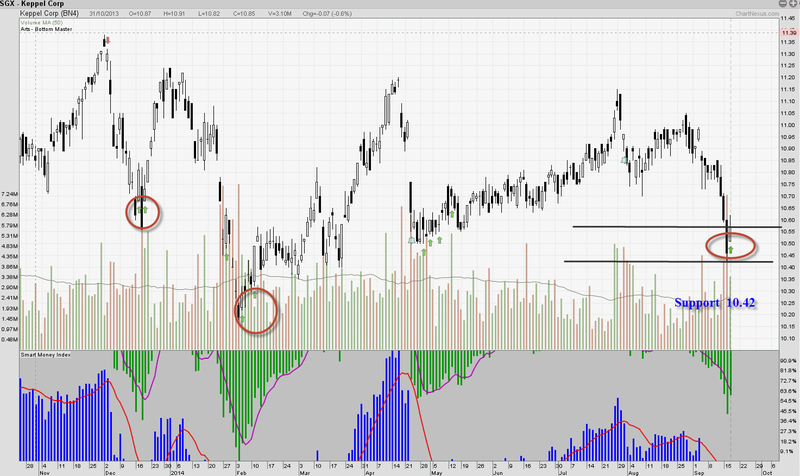 Keppel corp has been falling for the past few weeks. We notice that there is sign of turning up by watching the price action.